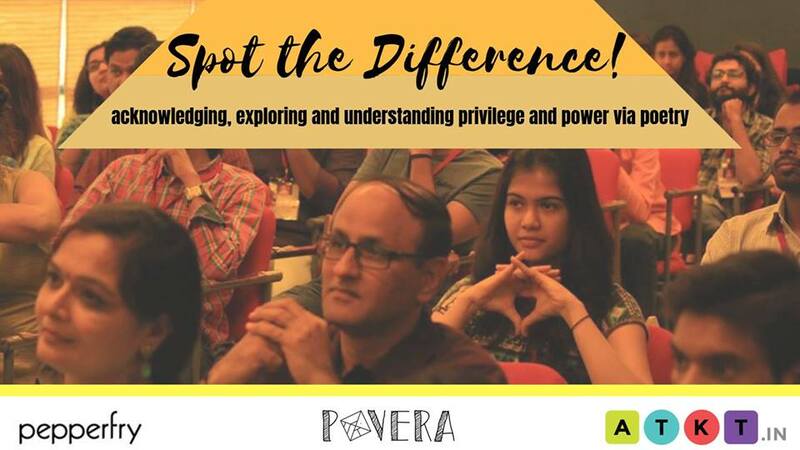 2018-10-26 19:00:00 2018-10-26 23:00:00 Asia/Kolkata Spot the Difference! Newsflash! Chances are, if you’re reading this, you’re pretty privileged. Some of you more than others – as privilege works. The power of privilege comes in part from how well it’s kneaded into our lives, to the point we don’t notice it anymore. The process of becoming comfortable with or even acknowledging our own privilege isn’t always easy, but it is extremely important. Perhaps this journey will be easier with a mic and some metaphors. Poets, watch out for the registration forms. More details out soon!